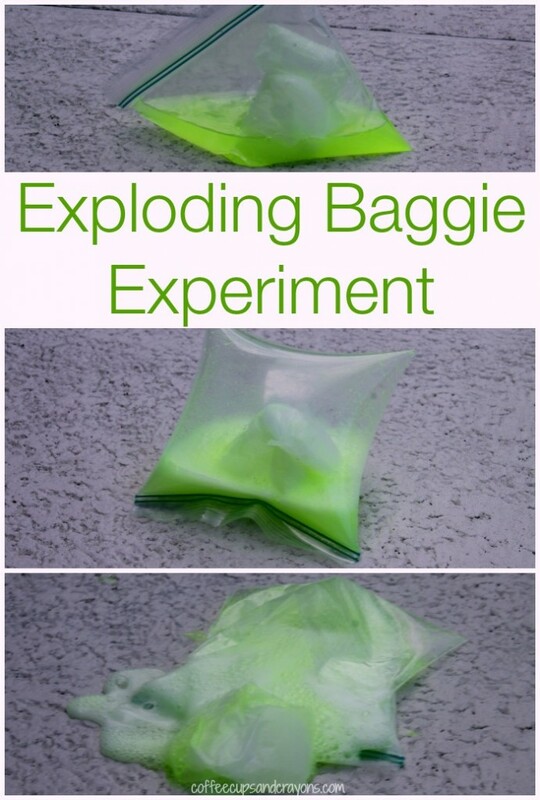 Doing science experiments at home is a great way to get your kids excited about learning. 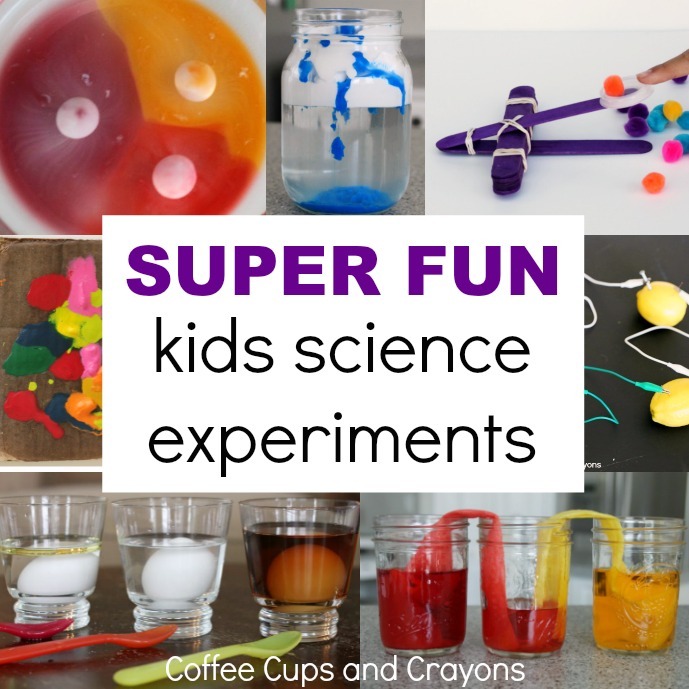 Cool science experiments spark curiosity and inspire kids to want to learn more. What could be better than that? We think weather experiments are awesome and one of the kids’ favorites is making a tornado. 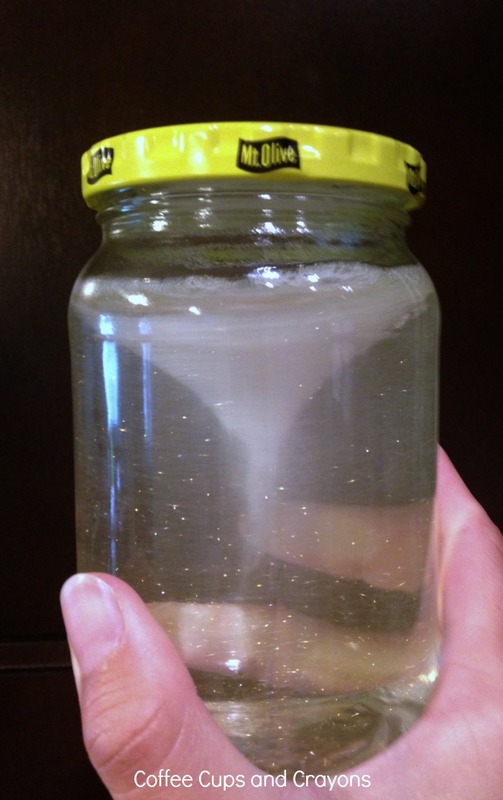 The tornado in a jar science experiment is so simple that I bet you already have all of the supplies in your kitchen to make it right now! Weather is fascinating for kids of all ages–especially tornadoes! 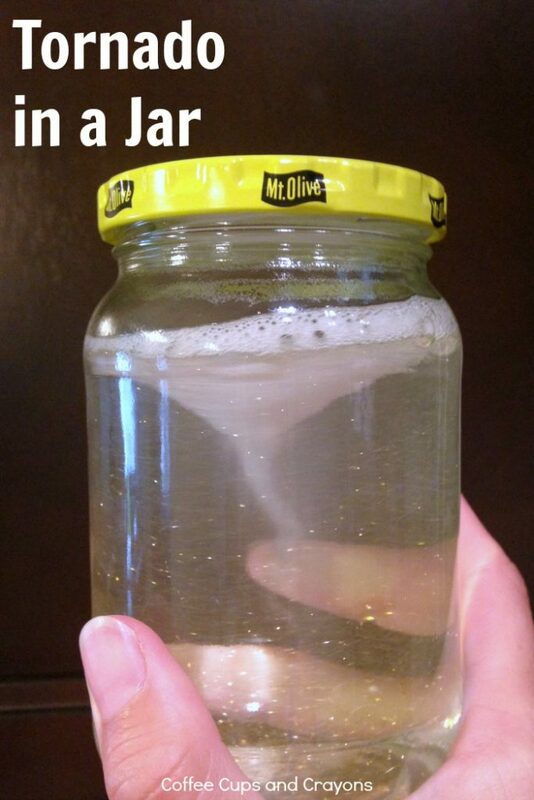 Study them in a non-scary way by making a tornado in a jar. Kids will love to swirl the jar and watch the funnel cloud form and the debris get pushed outside of it. Fill the jar 3/4 of the way full with water. We just used the plain tap water from our sink. Add a small squirt (just a drop or two) of the dish soap. Next put about a teaspoon of glitter inside. We found that the larger, chunkier glitter didn’t work as well as the finer glitter so you may want to try that first. Next screw on the top on tightly and it’s tornado time! Shake the jar briefly to mix everything up and then swirl it around in a circle a couple of times. Then stop and look and you’ll see a “tornado” inside! 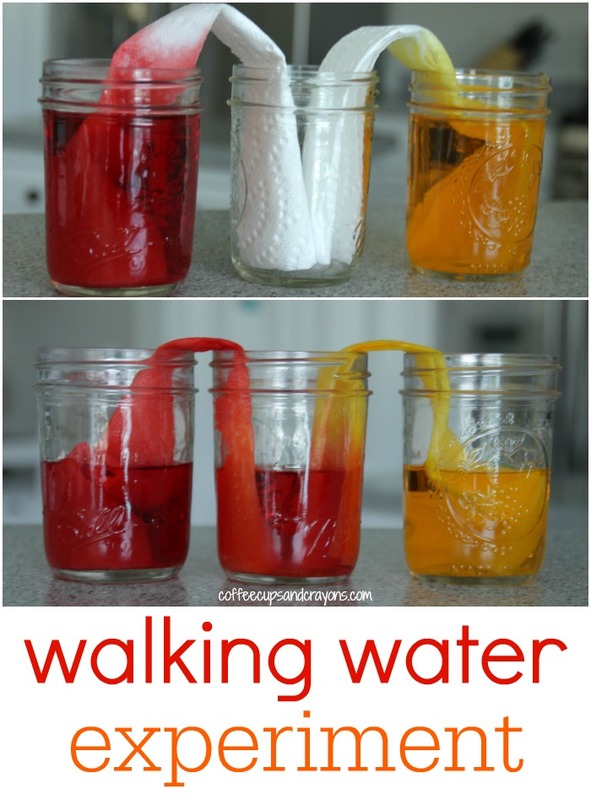 Here are some more simple kitchen science experiments to try! This did not work for us, all the water and glitter swirled in a homogeneous cloud. We tried a variety of spinning, swiveling, and swirling techniques. 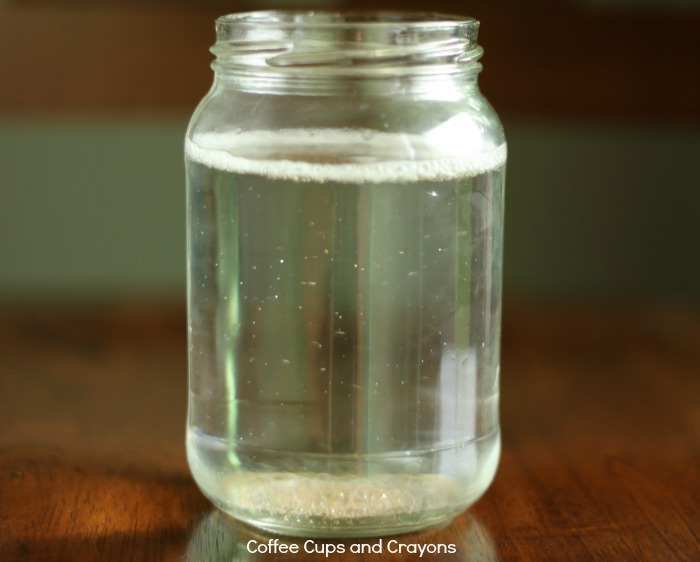 We used fine glitter in a medium sized salsa glass jar. No funnel formed. I’d try another jar. I don’t know if a salsa jar would be quite tall enough. Have you seen our youtube video of this one? That may help you troubleshoot too!